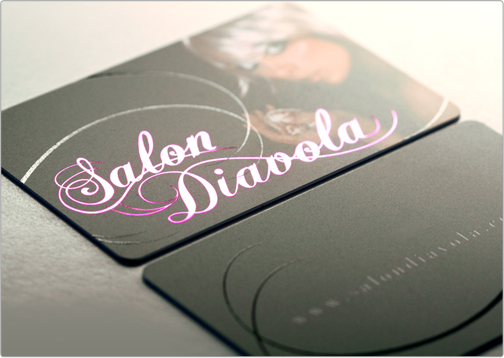 The Salon Diavola plastic card has the consistent weight, size, and shape of a credit card. 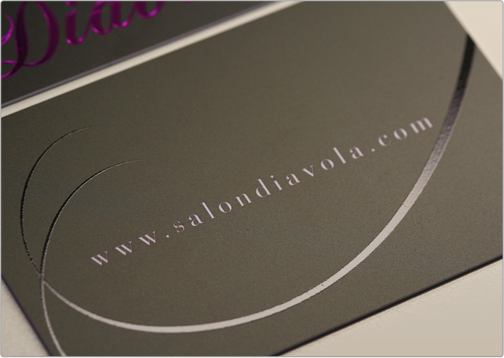 This custom design has been customer and varnished with decorative pink foil and spot gloss highlights. Specs: 30mil silk laminated plastic bc/ spot gloss 2 sides/ pink foil 1 side.